Hi there! Are you a startup or tech enthusiast looking for gatherings where you can meet and network with like minds? You are in luck as we at Technext have curated a list of tech events for you. These events will take place between 15th – 20th April, 2019. 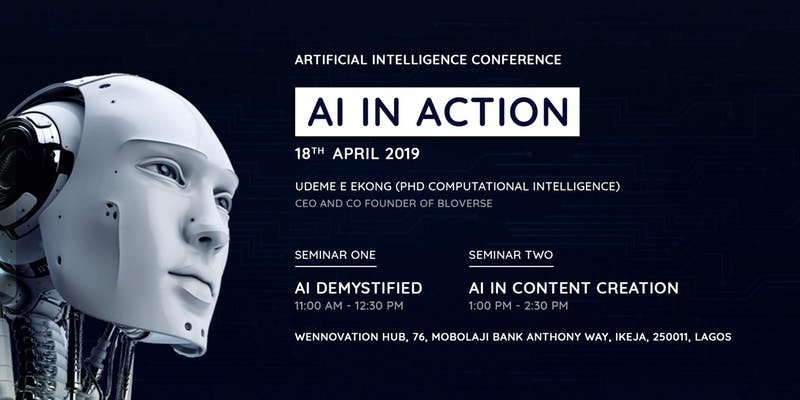 This event is open for everyone as it entails a detailed practical break down of Artificial Intelligence and its application in content creation. This will be done across two seminars; AI Demystified and AI in Content Creation. Venue: Wennovation Hub, Ikeja, Lagos. Date: Thursday, April 18, 2019. You can click here to be a part of it. MSME Business Connect Session hosted by Roedl & Partner Nigeria is a bi-monthly event designed for business owners and managers to learn the rudiments of running a successful business in Nigeria. Registration is now open for MSME Business Connect session coming up this April. This edition of the event would be teaching attendees everything they need to know about Intellectual Property Rights. Attendees would also get to share knowledge and business experiences as well as network with other entrepreneurs. Venue: Roedl & Partner Office, Lekki, Lagos. Date: Tuesday 16 April, 2019. This is an exclusive networking event for entrepreneurs to connect, learn and grow. Leadpreneur Meetup is a business mixer that gathers business executives to share ideas, forge new connections and discuss current issues. This edition of the Meetup would be featuring Adebola Adefila of Banrut Rolls Nigeria as a special guest. Date: Tuesday, April 16, 2019.